If you’re talking about social media networks, you’re going to have to mention Twitter. A true social media behemoth, the network boasts a very impressive 500 million profiles, with 100 million of those in the USA alone. The stats when it comes to twitter activity are just as impressive: 340 million tweets per day, and thousands of tweets per second for highly popular events. Created in 2006, Twitter has become a permanent fixture on the social media landscape. It is one of the top ten most visited websites on the internet, and its popularity is showing no sign of slowing down. Twitter is one of the most versatile tools which is available to marketers today to disseminate their messages to the masses. The thing which makes Twitter different to its social media cousins is the way in which content is generated, rather than the way it is sent. A standard Twitter message has a set length – 140 characters maximum. This means that you’re not able to make long posts with substantial detail. You’ll need to keep it short and sweet. Twitter has been described as “the SMS of the internet”. Just like other social media channels, there is a great potential to enhance your marketing campaigns with Twitter. The best thing about it is that it is excellent for promoting a conversational style of relationship with your target audience. Instead of slamming your audience with marketing messages, you can relate to them on a personal level by conversing with them using Twitter messages. The Twitter universe is geared around “following”. People can subscribe to your business, and your business can subscribe to different Twitter users. This following method offers you an unprecedented level of interaction with your user base, and allows people to essentially invite your business into their lives by way of updates being delivered to them. The key is to surround yourself with a targeted audience, and this is what will eventually occur if you are using the right subscribing and following strategies. You will end up with a large network of Twitter followers, all of whom are interested and attentive to your marketing messages. Twitter is a way to build a genuine community around the benefits of your business. One of the main ways people are using Twitter in the modern age is to make complaints about the customer service they have experienced. There will be a great number of conversations taking place about you and your services, good or bad – and Twitter gives you the ability to answer them back, by creating a direct link between you and your customer. Having someone who can talk to your customers and ease their concerns or complaints is a fantastic way to enhance your company’s PR presence. You’ll be able to track and follow complaints and comments about your company with laser precision, and reach your consumers on a one-to-one level to smooth over any cracks which may appear. We provide the Twitter services below. You can opt to choose individual services or the full package, just let us know when you fill in the form for your custom quote. At GetYourSiteRank, we understand the intricacies of Twitter, and what goes into making your marketing strategy a winner. 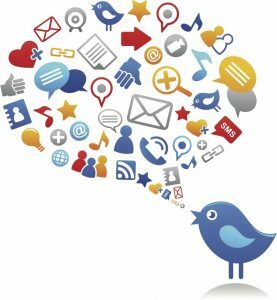 With targeted solutions and sophisticated tools for evaluation and monitoring, we will help you leverage Twitter’s unique conversational style and huge user base to build a massive group of dedicated followers. Our ongoing management of your campaign will keep it running smoothly, and ensure that you are reaching your goals. Social media is always evolving, so you’ll need a team like GetYourSiteRank who can adapt and change to an ever-changing social media landscape. We’re always at the forefront of innovation when it comes to social media marketing. 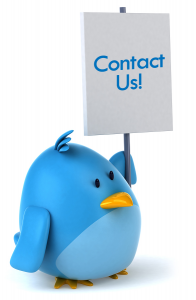 Get in touch with us today to discuss how we can help you dominate the Twitter universe. Tweet Your Business to Success.